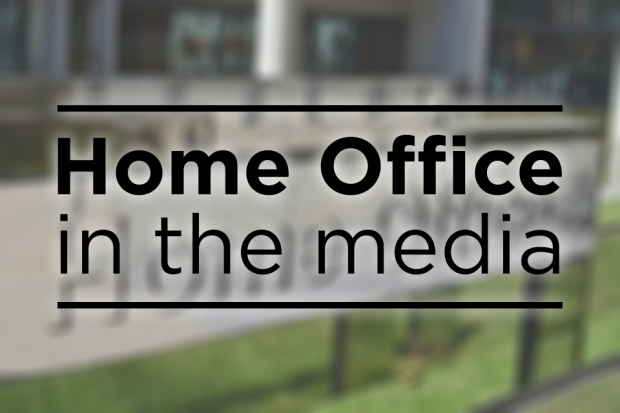 Today’s Home Office-related coverage includes the Immigration Minister's announcement of an extension to a Tier 4 Visa pilot. BBC News reports on the extension of the Tier 4 visa pilot, which aims to make it easier for universities to attract talented students from overseas. The visa has been extended to an additional 23 universities, making a total of 27 across the UK. The Immigration Minister, writing in The Times' Red Box, said successful applicants will have greater opportunity to switch to a work visa and take up graduate employment following their studies, by allowing them to remain in the country for six months after they have finished their course. The UK continues to be the second most popular destination for international students and the number coming to study at our universities has increased by 24% since 2010.